Add to your workplace with this extensive range of workplace furniture. 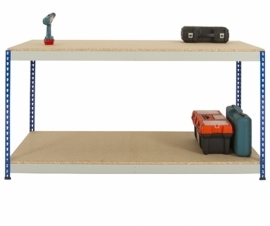 With different workbenches, cabinets and lockers to suit every need. Workbenches and Workstations: Large range of workbenches and workstations. Here you will find industrial workbenches with wheels, steel benches, antistatic workbenches, cantilever benches and much more. Most of our benches come with additional accessories and options, including louvre panels and shelves. View range. First Aid Cabinets / Medical Cupboards need to be identified fast and easily, especially in emergencies. 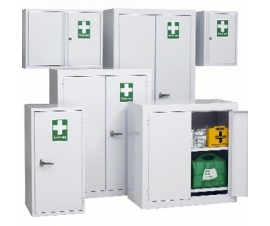 Here you will find First Aid Cabinets and Medical Storage Cupboards which can be free-standing and wall-mounted. All sizes available. View range. Hazardous Cabinets are essential if you are storing dangerous liquids, flammable items and toxic/harmful products. We have a huge range of Yellow Hazardous Storage (Coshh) Cabinets available in all sizes, other colours available. 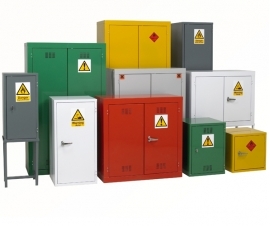 Our Hazardous Storage Cabinets come in the following categories: Flammable (Yellow); Flammable (Dark Grey); Coshh/Control of Substances Hazardous to Health (Light Grey); Acid (White) and Pesticides/Chemical (Red or Green). 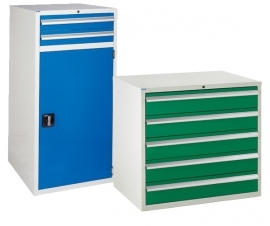 All cabinets meet required regulations and can be supported with the appropriate information. View range. 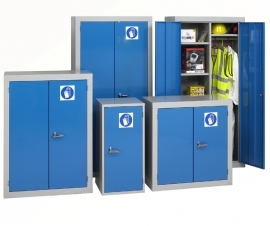 PPE Cabinets - Personal Protective Equipment Storage: Designed and manufactured to meet the requirements of The Personal Protective Equipment at Work Regulations 1994. View range. 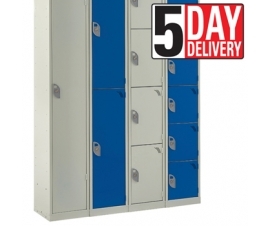 Plastic Lockers: Freestanding and stackable plastic locker range with a choice of camlock, swivel catch and coin return locks. 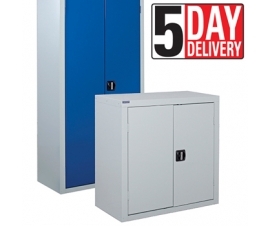 Plastic lockers are strong and corrosion/rust free with toughened hinges. Our plastic lockers come with a 15 Year Guarantee (subject to terms). Sloping tops are also available to prevent placement of litter. View range. Request our Work Gear catalogue today for a more extensive range of work place furniture.